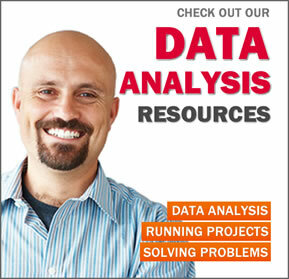 The Data Analysis Group is a Melbourne based provider of financial analysis & modelling services. Our offering includes analysis, decision support, forecasting, valuation and existing model reviews. Cost effective access to capable analysts and modelling geeks, without the costs of building and maintaining your own team. An Australian engineering organisation was asked to bid on a series of energy generation projects, with combined value in excess of $2b. The Executive Team were concerned that the existing new-business financial model had a significant margin for error, which could significantly impact the company’s longevity. Reporting to the CFO, we developed a user-friendly and robust Excel-based financial tender model, based on the conflicting requirements of 8 internal departments. The model was built in Excel to best-practice standards, including separated input and output sheets, automatically updating contents page, error checking and missing information algorithms. When fully printed out, the financial model spanned 134 A4 sheets and contained 2,400+ lines of custom VBA code. What made this project interesting is that VBA functionality was included to allow users to automatically extract and import Input Sheets from each internal department, allowing multiple users to work on the bid at any one time, thus reducing the bid preparation time by 27%. Risk analysis and evaluation through Monte Carlo simulation and value-at-risk techniques. We are confident that our Financial Modelling & Analysis Services will add significant value to your organisation. Call us for a friendly discussion on 1300 788 662 or submit the form below. It’s been an absolute pleasure dealing with you. Good job, but at night shift hours! !” Comment received from client regarding an urgently required manual transformation of 32 Excel workbooks of forecast data, which was completed and sent to client at 3:02am. It’s always challenging to buy professional services as one can only assess their benefit, after the service has been delivered. I’m glad we took the chance of trusting you with our data cleansing requirements, as you delivered WAY more than you promised. My only regret is that all my IT suppliers are not like you! Great news James. Thanks. And even better that it is all done so quickly. James has done a great job at putting together business intelligence and reporting software for my company to analyse and manage the results of the company against budgets / forecasts etc. This wasn’t available to us in SAP alone. It has saved me a huge amount of time in preparing reporting both internally and for our parent company.